I know this day gets a bad rap from a lot of people, but I'm a fan. I like the colors and frilliness that is associated with it and overall just having a day to pay a little extra attention to those we love. Or things we love. Or just a love of life in general. Vaughn has her school party today and her class decided to wear PJ's to celebrate the day. While I'm no fun and do not like PJ wearing days, she was so excited about this new idea. After getting dressed and choosing an enormous pink flowery headband to wear she danced around the house singing "this is such a beautiful day!" She got it right on the nose - have a beautiful day! Well it's Valentine's day everyday at our house so just another day for us! hee hee! 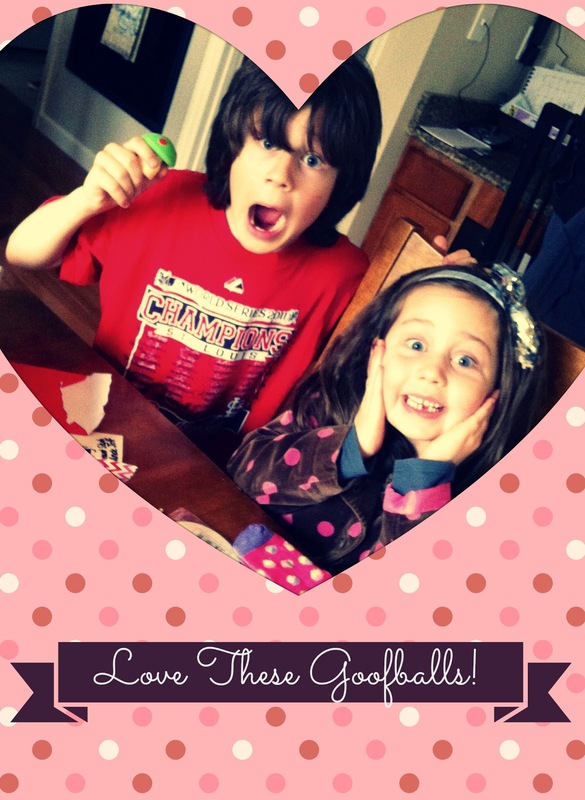 Love your goofballs too!